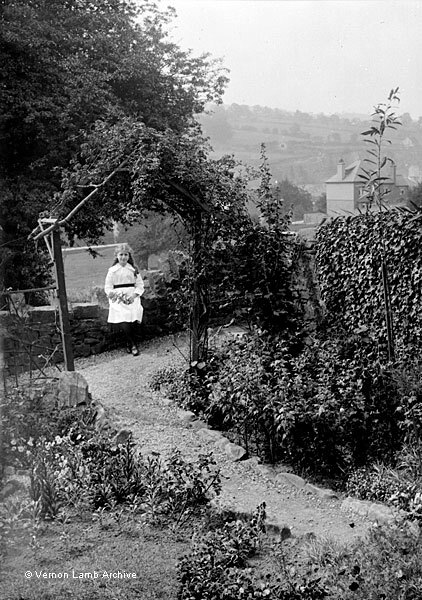 Description/Historical Information: Young girl in the garden. Cawdor quarry can be seen behind her and the house on the left is on Imperial Road. Also see VLA4852.